The 30th of December is a date when hope needs to materialize in order for frustration to fade, and people born on this date learn that their responsibility for Self overcomes all obstacles possibly standing in their path. Ideals are all reachable at this time, but through hard work, dedication and respect for limits that are set in one's life for much higher causes than we, as humans, may comprehend at first instant. The core of the issue is the only thing that truly makes sense and interests those born on December 30th and with their natural focus, the dispersion of Jupiter seems to come down to one point only for their Soul to transform. 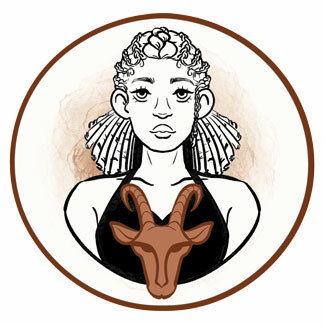 This planetary row, along with the position of their Sun in Capricorn, speaks of an old Soul, someone tied to past life experiences, protected by ancestors for a certain higher cause that they need time and effort to decipher. Their path in life may be challenging, but they will get Divine Support when things get really dark, and need to hold on to positive beliefs to see how blessed they are by their mindset and their ability to evoke much larger things in life than they see possible. Their structure is to serve a purpose, and a deep change is often needed in order for them to shed their skin and find the true meaning of life to pursue with a smile on their face. Upside-down convictions will turn to fit a healthy life path over time. We can clearly see that the importance of faith and their path of self-discovery leads them towards the beauty of Venus, the one from Libra that sings, dances, and plays a complicated instrument. This speaks of the value of learning and foundations they build through education and time spent in the "prison" of the system that isn’t always flowing with ease and as supportive of their talents as they wish it to be. Knowledge gives them wings to fly, and provokes the sound of joy and beauty coloring their lives every day. The purpose in lives of those born on the 30th of December is to find beauty in life, their way of artistic expression, and gratitude for the way things are at each moment. They are on the chase for love and partnership, but this won’t necessarily mean they are running into marriage or a union of two people. It speaks of their desire to love, the tendency to connect and feel inspired by achievements and energies of others, and emotional contacts they are trying to establish in their lifetime. 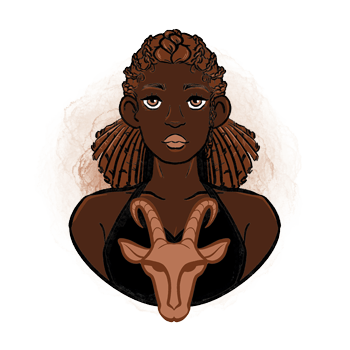 Their story is one of Saturn's exaltation in Libra, where they see how hard work and solid boundaries make each relationship in their life healthy, structured, and supported by time instead of getting spent by it. The love life of those born on December 30th depends mostly on their personal growth, for they won’t exactly be ready to intimately connect to another person until they see their own direction in life. First relationships they form might serve their Soul to evoke change and could be bruising and difficult in a way, shaking the ground beneath their feet or questioning their positive beliefs and faith in love in general. With time, their task is to see the beauty beyond mistrust, faithfulness or betrayal of any kind, and to reach the point where each bond in their life has a purpose, just as it is. They are deeply sensitive and when they don’t understand deeds of someone they love, they get tied to the ideas and projections of what could and should have been. This makes them vulnerable to manipulation, especially one including sexuality and seduction with no real intention to make the physical contact real. They need a partner who will speak and act coherently, someone they can trust, and a person to not leave things unfinished, lingering in the air, or unclear in any way. They are honest souls in search for truthful deep commitment, and they shouldn’t settle for anything less coming from their partner or anyone else in their life. A person born on December 30th excels as a student and teacher, psychologist and someone who assesses and follows human behavior. They understand the cycle of life and death in ways that others might see as spooky, even their own inner judgment, and need time to build their personality to full potential. They excel in loans, banking and stocks, but do even better in shamanism, energetic work, in touch with nature, preservation of species and countries that need health care, water, and education. A very good crystal to pull the person born on December 30th away from negative situations and help them find appropriate distance that won’t take away their joy in life, is zircon. It creates room for spirit guidance and better understanding of the process they are a part of, and helps them see where their personal position is even when things get chaotic in their life and their relationships. It is a strong grounding stone, creating opportunities to reconnect with Mother Earth and all those natural cycles that explain our human world just as much as that of less aware beings. Every birthday of a person born on December 30th is a special opportunity for a new personal cycle and although they might be uninterested in gifts and celebrations, their need for change becomes strong at this time. They want presents to take them towards something new, round up their processes, meet them with past life experiences and healings that will change their life. Depending on their skepticism, weigh your options carefully and pay for their bioenergetics or acupuncture treatment, or simply take them into the woods, to the living, breathing volcano, or a secluded place where they will come in touch with Nature. Deeply functional, honest and in search for the truth, they are missionaries with a cause to make this world a better place, and see the purpose in facing our shadows and painful issues to rise, evolve and transform into better people. Governed by dark choices, disappointed in life among humans, they become aggressive or judgmental of those who don’t have gratitude for the same things they value, in ways they do, leaving little room for diversity and width. In 1946 Patti Smith was born, an American singer, songwriter, poet and visual artist, widely known for her song Because the Night, co-written by Bruce Springsteen. She has been the founding influence of many great artists that succeeded her. In 1983 Kevin Systrom was born, an American computer programmer and one of the co-founders of Instagram, a wonderful example of vision combined with focused creation. He went to Vatican and spoke to Pope Francis about the power of images to unite people "across borders, cultures and generations". In 1986 Ellie Goulding was born, an English singer and songwriter, best recognized for her hit single "Lights". Although she started playing clarinet at age 9, guitar at age 14, and started writing songs at 15, she failed Music in high school and passed English, Politics and Drama with "A" grades. 1916 – The murder of the Russian mystic and Tsar Grigori Rasputin's (born on January 21st) advisor. 1916 – Hungary has its last coronation. 1922 – Formation of the Union of Soviet Socialists Republics. 1927 – Opening of the first subway line on the territory of Asia. 1993 – Diplomatic relationships are established between Vatican City and Israel. 2006 – Execution of Saddam Hussein (born on April 28th).